Dr. Chao is a professor and head of the Chinese Program at Hunter College. She founded the Hunter College MA in the Teaching of Chinese Program in 2008. She has a PhD in Applied Linguistics from New York University. 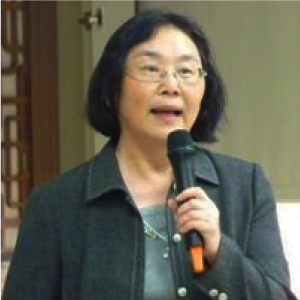 Dr. Chao received a grant from the U.S. Department of Education in 2001 to establish the Chinese Literacy Project, which led to her pioneering teaching approach of using web-based instructional materials to help students learn characters and build literacy. Since 2007, Dr. Chao has directed STARTALK high school and teacher training programs at Hunter to implement the new blended learning design that combines summer and academic year language instruction with individualized online learning. Since 2011, Dr. Chao has been the PI and the director for the Hunter Chinese Flagship Program, which has achieved exemplary results using the blended learning approach. 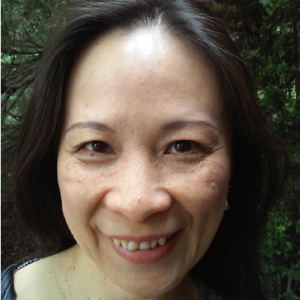 Ms. Bing Ying Hu received her MA in the Teaching of Chinese as a foreign language from Hunter College. 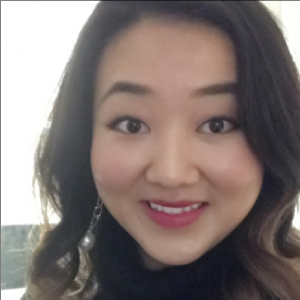 For the past three years, Ms. Hu has coordinated and taught the Hunter STARTALK program for high school and middle school students using the blended learning model. She helped develop blended learning curricula, created individualized study plans for students, and trained qualified online tutors. Currently, Bing Ying is a lecturer at Hunter College and the curriculum coordinator for the Hunter Chinese Flagship program. As the associate director for the K-12 Blended Pilot Project, Bing assisted in teaching students at all levels, developed the curriculum, arranged teacher training workshops, supervised assessment, and conducted research on blended learning best practices. Ms. Mary Marks has 16 years of experience as a Public Information Consultant. During that time, she coordinated various projects for school districts in Nassau and Suffolk Counties, as well as endeavors with private clients. She served as the Jericho School District’s Director of Public Information and Community Relations for 13 years. She has received more than 100 state and national awards for her newsletters, calendars, budget brochures, writing, photography, and special purpose publications. In addition, she received eight national achievement awards for exemplary public relations activities. She has presented at various professional conferences on budget strategies, crisis communications, cultural diversity, and building positive relationships. Mary is currently an independent public information consultant. As the Coordinator of the K-12 Blended Pilot Project, Mary helped to establish a close relationship between the Hunter Chinese Flagship Program and the Jericho School District. Christopher Crowley is a recent alumnus of the Hunter College Chinese Flagship Program. He spent his Capstone Year in Tianjin, China during the fall 2015 and spring 2016 semesters. While in Tianjin, he took a direct enrollment class in Economics and later chose to intern as a Student Research Assistant alongside Chinese graduate students under the guidance of an economics professor. 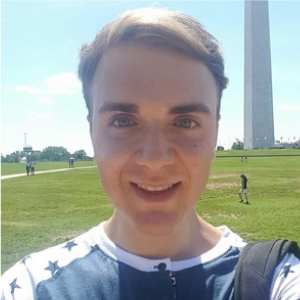 Christopher graduated in January 2017. Upon returning to the United States, Chris worked as an Outreach Assistant with the Chinese Flagship Program. He assisted with the data analysis portion of the Jericho K-12 Pilot Project, including identifying Chinese language learning trends, identifying student language learning motivation, and analyzing the relationship between student performance and proficiency gains. During the fall 2016 semester, Chris also assisted the instructors during the face-to-face meetings. 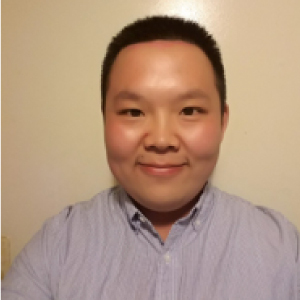 Christopher is thankful for his experience in the Chinese Flagship Program and hopes to spread awareness of the program to students throughout the New York Metro Area. 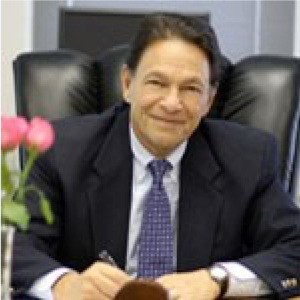 Henry Grishman began his career in education as an elementary and middle school mathematics teacher and held posts as an elementary and middle school principal. Since 1978, Mr. Grishman served as superintendent for four school districts before taking his post in Jericho in 1995. Mr. Grishman is a member and the past president of the Executive Committee of the NYS Council of School Superintendents; past president and officer of the Executive Committee for the Leadership for Educational Achievement Foundation, Inc.; Member of the NYS Public High School Athletic Association, Inc., Central Committee; NYSPHSAA Section VIII, Chair Superintendent’s Board; Governing Board Member of the American Association of School Administrators and Past president and current member of the Executive Committee of the Nassau County Council of School Superintendents. Barbara Bauer has served as the Jericho School District’s Assistant Superintendent for Curriculum and Instruction for the past 7 years. During that time, she supervised curricular development and augmentation of academic and social/emotional programs throughout the district while consistently striving to meet Jericho goals for all students. As the Cantiague Elementary School principal for 9 years, Barbara led her faculty to reach new goals and realize standards of excellence. She successfully piloted an early-intervention reading program, initiated theme-based character education programs to improve social skills and instill values, and established a peer mediation program to teach students conflict resolution strategies and to provide a mechanism for resolving issues among students. A highly motivated and dedicated professional with more than 30 years of experience, Barbara is creative and innovative in the quest for excellence with an emphasis on placing the needs of children first. 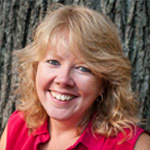 Dr. Elaine Margarita is the Curriculum Associate for World Languages and Family & Consumer Science at Jericho Schools. She received her BA in Hispanic Languages and Literature at SUNY Stony Brook, her MA in Education from SUNY Stony Brook and her administrative degree and doctorate in Educational Administration from Hofstra University. 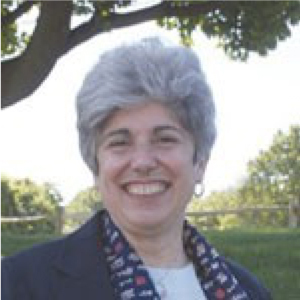 Dr. Margarita is also an Assistant Professor at Dowling College and Hofstra University where she is a professor of methodology. She is currently the president of FLACS (Foreign Language Association of Chairpersons and Supervisors for New York State). Dr. Margarita is very involved in the development of curriculum and assessments in world languages. 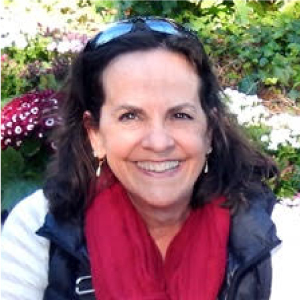 She has presented at conferences throughout the state on researched-based instruction and she serves as consultant to many school districts for a variety of professional development needs as well as the implementation of early language programs (FLES). Ms. Siegmann has served for the past fifteen years as a teacher or administrator for HCCS. She entered teaching in the first Teach For America corps member class of 1990 and earned her National Board Certification in Teaching ten years later. She has taught in LA, NYC, Rochester City Schools, and central Massachusetts. She earned her degrees & certifications from Drew University, University of Rochester, and Hunter College. She is a grateful recipient of teaching fellowships from the Korean Society and the NEH and she is proud mentor of the FIRST Robotics program. Ms. Xiaoyu Liu was the lead instructor for the K-12 Chinese Flagship Program at Hunter College Elementary School. She prepared and taught weekly face-to-face 1.5 hour classes, designed class activities, and planned the school field trip. She also coordinated online tutoring sessions and developed online learning plans and materials. Ms. Liu is getting her M.A. in Adolescent Chinese Education from Hunter College. She will be certified in teaching of Chinese for grades 1-6 and 7-12. Ms. Liu also worked as an online instructor for the Jericho K-12 program. 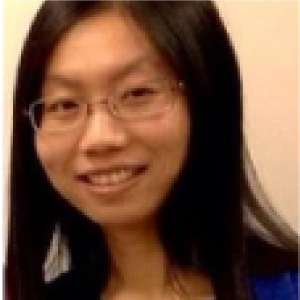 She has experience in teaching Chinese to students from grade 2 to grade 9 at Topway Tutoring Center in Queens, NY. Mr. Shouqian Shi was the lead instructor for the K-12 Blended Pilot Project at Jericho. Mr. Shi received his MA in Adolescent Chinese Education from Hunter College. He is certified in the teaching of Chinese for Grades 7-12 and Grades 1-6. He is also certified to teach Social Studies in Grades 7-12. 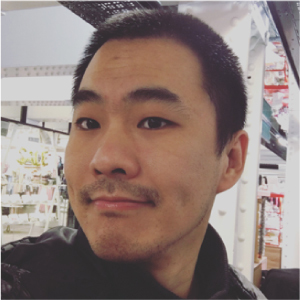 Mr. Shi has taught in Hunter’s STARTALK programs for high school students and middle school students in face-to-face as well as online settings for the past 2 years. He has taught Chinese to toddlers at Rutgers Presbyterian Church in New York City and to early primary-school students in Washington D.C. For the blended learning pilot project, he taught all the group class sessions during year 1 and developed study plans for online sessions. He also assisted the project with data collection and analysis. Mr. Shi is currently a Chinese teacher at Dual Language High School in New York City. Mr. Jing Zhao was the lead instructor for the Grades 9-12 group. He was responsible for preparing the online learning materials for the weekly 1-1 online sessions. He conducted 1-1 online sessions himself and helped other instructors in the group learn effective teaching strategies. Mr. Zhao is also an adjunct instructor in the Chinese Program at Hunter College. He has taught classes in Chinese language, culture and literature to students from the U.S. and other countries in various programs and universities, including Learn Language Hoboken, China Studies Institute in Peking University, College of Intensive Chinese Training in Beijing Language and Culture University, Harvard Beijing Academy, and Critical Languages Scholarship program. Mr. Zhao graduated from NYU with a Master's degree in Chinese-English Translation. As a Chinese-English translator and interpreter, he has worked for many businesses and organizations, including Transperfect, Brooklyn College, and the Bank of China’s New York branch. Ms. Jennifer Kuo was the Online Lead Instructor for the Grades 6-8 group. She has a great deal of experience teaching Chinese to students at all different levels. 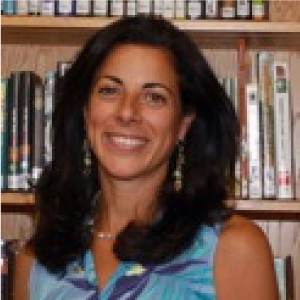 She is currently teaching at Horace Greeley High School at Chappaqua, New York and previously taught at New York University, Hunter College, Scarsdale High School, and Mark Twain Middle School. Ms. Kuo received her Master’s Degree in the Teaching of Chinese from Hunter College. She lives with her family in Irvington, New York and enjoys teaching, reading, and gardening. Mr. Chi Yu was the lead instructor for the Grades 3-5 cohort year 1 group. He was responsible for preparing online learning for weekly 1-1 online sessions. He also conducted 1-1 online sessions himself. 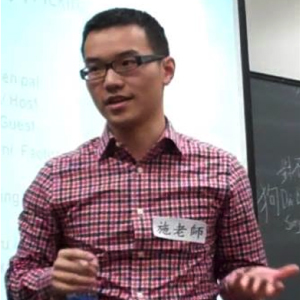 He earned his first college degree in computer media from Henan University in China in 2009 and his second college degree in Chinese Language & Literature from Hunter College in 2015. He currently is completing the MA program in teaching Chinese as a foreign language at Hunter College. During leisure time, he likes to listen to Chinese music, and read Chinese history and culture books. For the past two years, Ms. Zijun Sun was the Online Lead Instructor for the Grades 3-5 group. In addition to teaching, she was also responsible for preparing the online learning materials for the weekly 1-1 online sessions. Zijun is completing her Master’s in Teaching Chinese as a Foreign Language at Hunter College. In 2016, she also received a Bachelor’s Degree in Chinese Language and Literature at Hunter College. Upon completing the FLES course, Zijun is now fully certified to teach Chinese to grades K-12 students. For the past year, Ms. Xiaoyue (Grace) Yang was the Online Lead Instructor for the Grades K-2 group. 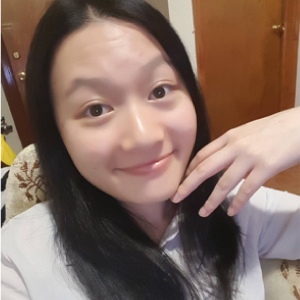 In addition to teaching, Xiaoyue also worked as a coordinator and arranged the online tutoring sessions for all instructors. Xiaoyue also prepared the online learning materials as a lead instructor. She graduated from Texas Christian University with a Bachelor’s degree in nursing. She also volunteered as an English-Chinese interpreter at John Peter Smith Hospital. 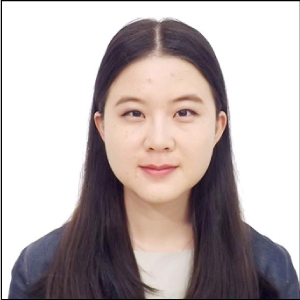 Xiaoyue is currently studying at Hunter College where she is pursuing a Master’s Degree in Teaching Chinese as a Foreign Language. She will be certified in teaching Chinese for grades 1-12. In her spare time, she likes to read Chinese novels and watch Chinese TV shows and movies.